Buckley Day Camp believes that camp provides children the opportunity to learn life skills in a fun and nurturing environment. Whether it is on the soccer field, in the swimming pool or anywhere else around camp, we focus on teaching life skills such as teamwork, creativity, perseverance, respect and more. Buckley is the place where families should feel confident that we are looking to help each child grow throughout the summer. Our team has over 100 years of experience in camping and education, we know that there is nothing that inspires children more than an amazing camp experience. Buckley Day Camp provides a unique environment where children are given the opportunity to learn life skills in a fun, nurturing and noncompetitive environment! Here, your children will experience a program designed to meet their individual needs. 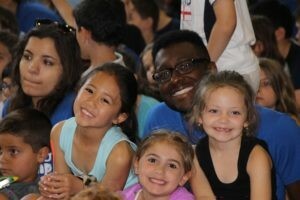 Nursery through kindergarten have a traditional day camp program, while 1st – 7th graders have an elective based program. 8th & 9th graders participate in a camp/travel program and 10th graders can join our CIT program! 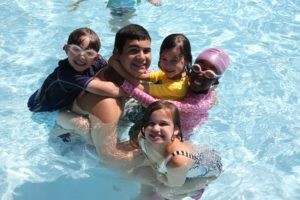 American Red Cross’ Learn-to-Swim Program for campers ages 18 months to 12. Swim instruction daily in our 4 outdoor heated pools. Sibling Discount Available. Plus Extended hours before and after camp! To schedule an individual tour for your family and discover what sets Buckley apart from other camps, please contact us by phone at 516-365-7760 or email at info@buckleycamp.com.